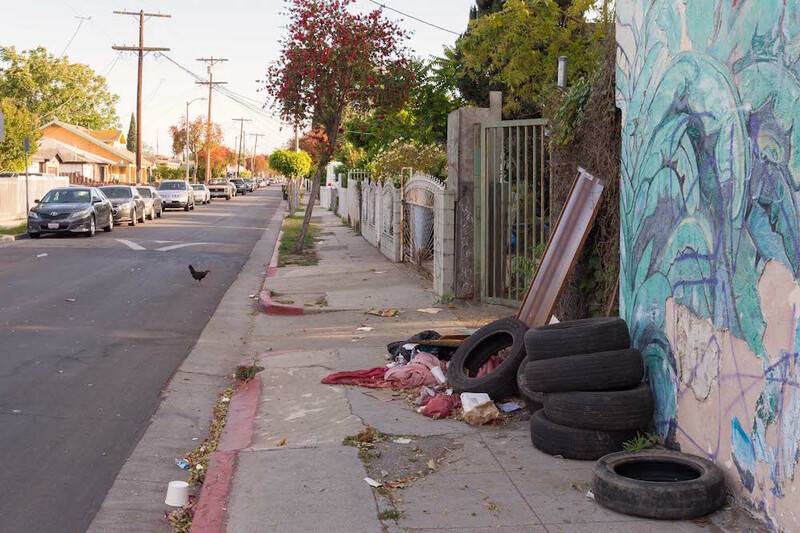 As a public works commissioner for the city of Los Angeles, I would always hear residents say, “We pay taxes, why aren’t our trees trimmed, streets cleaned, and sidewalks repaired on a regular basis?” The answer is simple: The needs of the city heavily outweigh its resources. In my mind this situation will never change. So what hope is there? My answer is a region-oriented service provision approach that is strategic and collaborative. An interesting fact about city government is that, for the most part, all city departments (about 40) operate in silos. There is very little formal interdepartmental communication and coordination, and as a result overall service provision is not maximized. In 2008, during the worst recession since the Great Depression, Mayor Antonio Villaraigosa and Councilmembers Bernard C. Parks, Jan Perry, Janice Hahn and Herb Wesson decided to work together to improve conditions in South L.A. Their effort—to create and implement a five-year economic development strategic plan for South L.A. The plan was called the South L.A. Initiatives. It was novel because it focused on a region—not a council district or a neighborhood. I was appointed by the mayor and supported by the councilmembers as the coordinator of the South L.A. Initiatives. From 2008 to 2013, I worked closely with the mayor, councilmembers, political staffers, city department executives and staff, and community members to bring services to South L.A.
It’s common knowledge that the city produces scores of plans that are eventually shelved. But unlike so many other plans for South L.A., this one measured the performance of the plan’s goals on an ongoing basis. Every month for five years, 15 departments reported their progress. Every quarter for five years, department executives met to solve problems, report progress, and identify areas of collaboration. Additionally, a 15-member community committee regularly received progress reports. As a result of this performance-based strategic planning, the South L.A. region experienced over $600 million of investment, as well as serious analysis and attention from 15 city departments. At the heart of the initiatives was a $250 million investment in neighborhood infrastructure. Streets, sewers, and stormwater systems were improved. Many trees were trimmed and alleys cleaned. Municipal facilities such as an aquatic center, parks, libraries, and fire stations were constructed. The needs of the city heavily outweigh its resources. In the employment arena, 6,000 jobs were created in the region. The city’s workforce center placed 25,000 South L.A. residents in jobs. Mayor Villaraigosa’s summer youth employment program resulted in over 17,000 jobs for local residents. The South L.A. Initiatives also focused on housing, investing $100 million to develop nearly 2,000 affordable rental units, and $6 million in home repair and security to assist close to 3,000 low-income senior residents. The program also supported the conversion of 180 vacant or foreclosed properties into more than 400 housing units. And scores of city employees worked to move forward the redevelopment of the historic Jordan Downs public housing project. Even with the economy in free fall, the Initiatives continued to back retail and small business enterprises. Among the projects supported were the Midtown Crossing and the Baldwin Hills Crenshaw renovation and expansion, the repositioning of industrial lands for new uses, efforts to attract national and international employers, and assistance to more than 3,500 small businesses. The Initiatives also encouraged the planning department to complete the three community plans in the South L.A. region. These plans had not been updated for more than 10 years. The new plans thoughtfully established overlay plans for transit-oriented districts along the Expo and Blue Lines, streamlined land-use entitlements along the commercial and industrial corridors, and adopted a USC master plan. As the coordinator of the South L.A. plan, it was my job to foster ongoing communication among all participants and to manage the performance measurement mechanism. As a result of the efforts of nearly 100 city employees, who worked thoughtfully and diligently to bring projects, information, and resources to improve the lives of South L.A. residents, the South L.A. Initiatives plan won the 2012 award for Planning Excellence, Large Jurisdictions from the American Planning Association-L.A. Chapter. Fast forward, it’s now 2016—and what should South L.A. residents do? First, encourage your elected officials to create a regional strategic service plan. Several cities actually have strategic plans, but L.A.’s size and governance structure prevents a citywide plan. So it’s best to advocate for creation of regional plans within the city. Next, South L.A. residents need to know how to complain. Yes, call 311, but also contact the council office, the Mayor’s South L.A. district representative, and the city commissioner in the department that interests you. Get to know your local service providers—for example, the manager at your sanitation or street cleaning yard, the park supervisor, the area Department of Water & Power manager. Advocate for services and don’t give up. As Los Angeles continues to grow, the future of each neighborhood is in the hands of its residents. I have lived in South L.A. neighborhoods all of my adult life. I have witnessed the changes, the ebbs and flows. As the neighborhoods change from predominantly African American to mostly Latino or multicultural, we must move forward as one region, connected and committed to improving the conditions of our individual lives and the lives of all South L.A. residents. Valerie Lynne Shaw served on the L.A. Board of Public Works for 17 years, serving as president under Mayor Hahn and vice president under Mayor Villaraigosa. She was recently appointed by Gov. Jerry Brown to the Board of Governors for the California Community College system.